The general aim of Foundation OBRAS is to provide the space, service, peace and hospitality necessary for effective working on art and science. The contact with the surrounding landscape and culture may provide additional inspiration. Artists and scientists with (emerging) professional standing are eligible for residence. Disciplines include visual arts, architecture, music composition, film/video, writing, dance, drama and science. 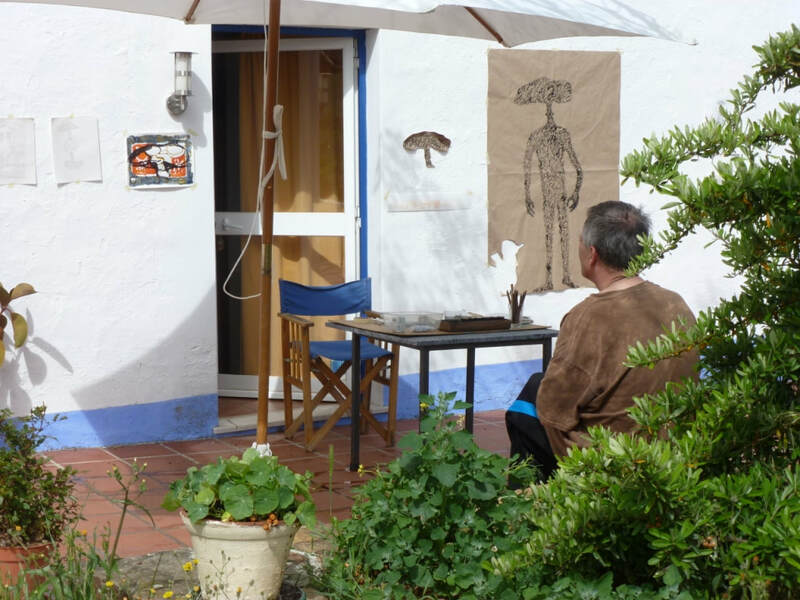 We can schedule, together with the artist, meetings, performances, exhibitions and other small scale activities. Since 2004 some 650 artists and scientists from 50 countries have been in residence and 70 cultural events have been organized. OBRAS co-operates with organizations in Portugal and abroad. OBRAS has its principal seat in Portugal and an auxiliary establishment in Holland. OBRAS-Portugal has 10 two-person apartments, 4 spacious studios ranging in size from 25 to 200 m2, some music instruments (including piano) and a swimming pool. It can host up to 10 artists at the same time, but we generally accept 5 to 6. The center is open in April-June and August-October. For more information on OBRAS Portugal see information and rates . For an impression of the buildings see cottages, apartments and studios . Information on residents and their projects is in the residence pages and the newsletter.